Our ocean view suites in Cabarete at Millennium Resort & Spa are spacious studios with a king-size bed, flat screen TV, en-suite bathroom, kitchenette and sliding glass doors opening to an oceanfront balcony with seating. Spacious suites with king-size bed, flat screen TV, large closet with secure safe, and sliding glass doors opening to the oceanfront balcony. Large en-suite bathroom with double sinks and shower. Kitchenette with mini-refrigerator, toaster-oven, blender, coffee-maker, glassware and flatware. Ocean suite: 59m² / 632 sq. ft. These units do have an ocean view. 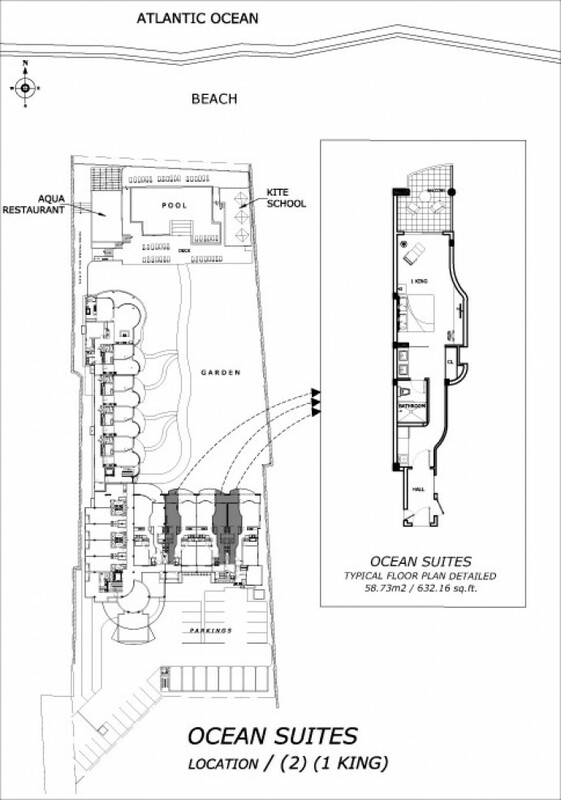 View the Ocean Suite floor plan and location.